Before I get into this post I wanted to tell you that I have done very little knitting since we got back from Vegas last week. I’ve been sick. Too sick to knit. In fact I’ve been too sick to do much of anything. Sunday’s post was written on early Saturday before the fever. Yesterday’s post took way too long to get together. I realized I should not have posted when I had a fever or I wouldn’t have entitled yesterday’s post “Airplane knitting” which was the very same title four posts ago. Whatever. The fever’s gone but the cough will linger. It’s back to work tomorrow. I think. 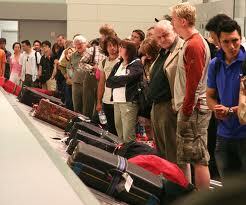 Anyway, let’s get back to the baggage handlers. 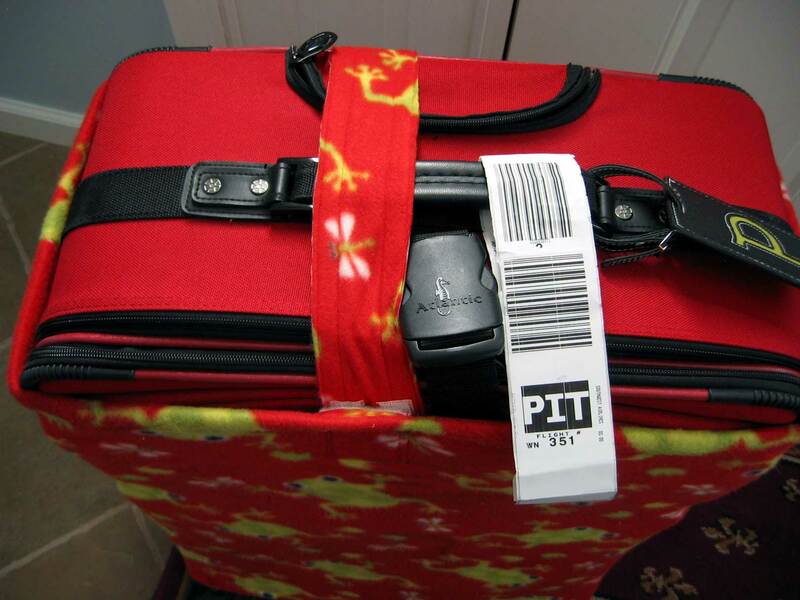 Do you think baggage handlers take good care of your luggage when they put it on and take it off the plane? Well, you might think/wish/hope they do but if you’ve ever flown on a commercial airline then you know they don’t care about your luggage. They don’t care if it’s new. They don’t care if it’s cute. They don’t care if it gets wet. 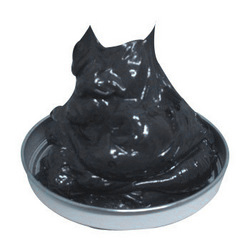 They don’t care if it lands on grease. They especially don’t care if it’s clean. Because it won’t be when you get it back. 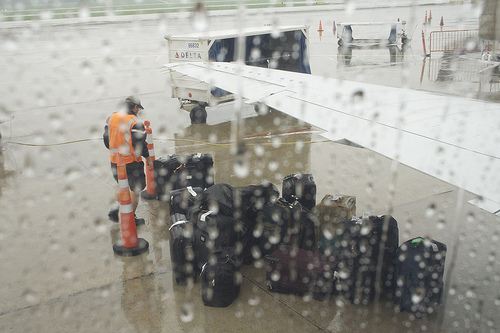 This suitcase has flown three times. You can barely see the greasy stains or the frayed edges in this photo due to the flash on my camera but trust me they’re all there. 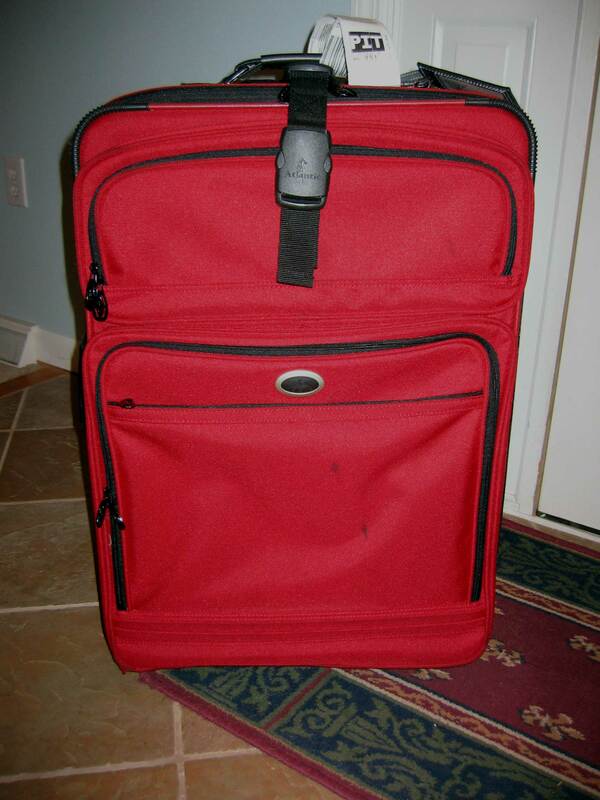 Do you have any idea how many red suitcases there are? A lot. 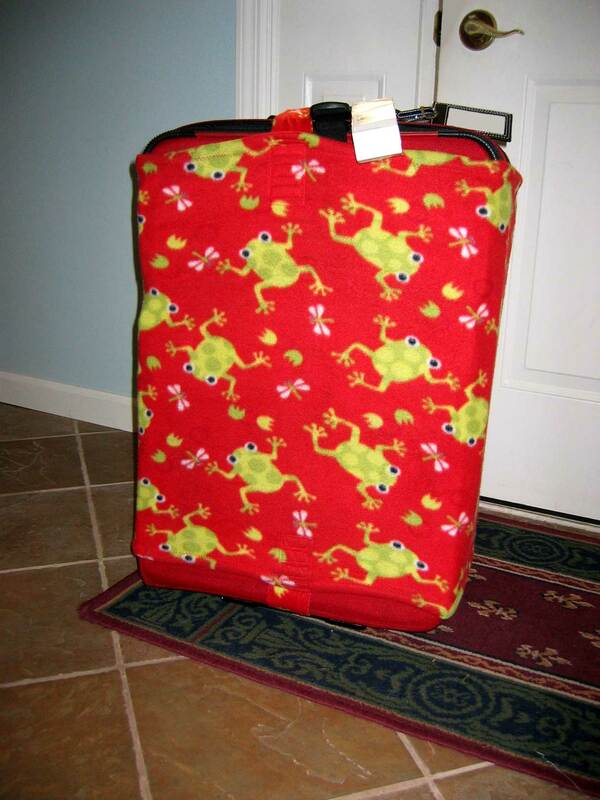 Do you know how many red suitcases with green frogs there are? Not many. In fact I didn’t see any. Except for ours. I made this the night before we left on our trip for two reasons. 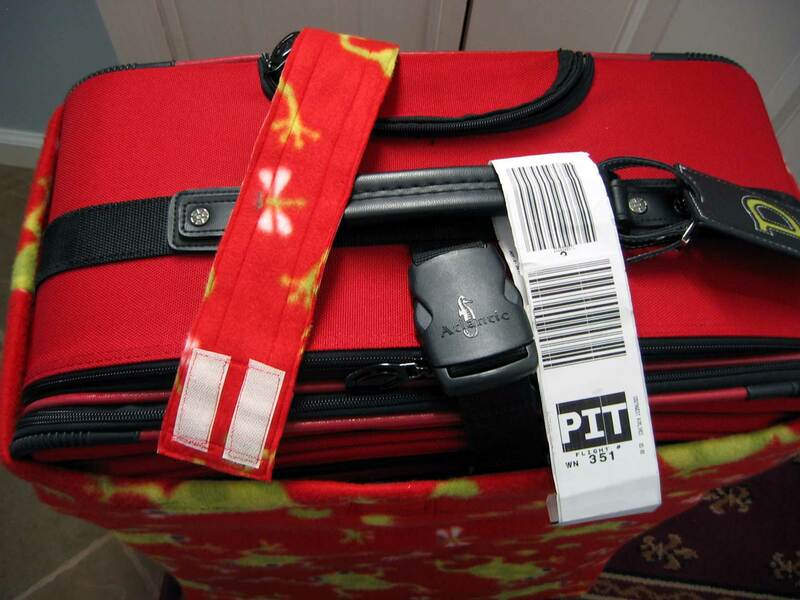 One was to make it easier to find at baggage claim. The other was to sort of protect it from getting any dirtier. The top strap stayed in place with Velcro so it could easily be removed for access to the handles. 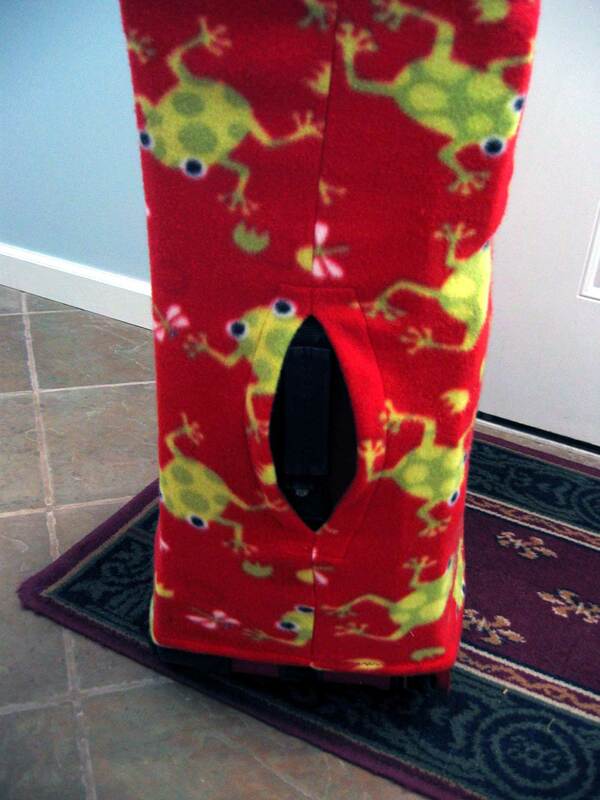 The bottom also had a detachable strap to run it under whatever that thing is. There’s also a slit for the side handle that could have had a Velcro strap but I was running out of time. 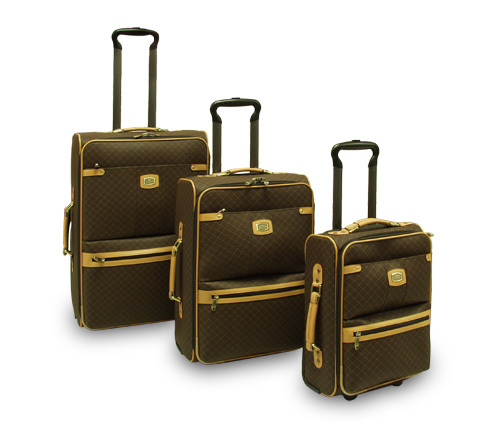 Was this easy to find in baggage claim? You betcha! Didn’t see another one like it. 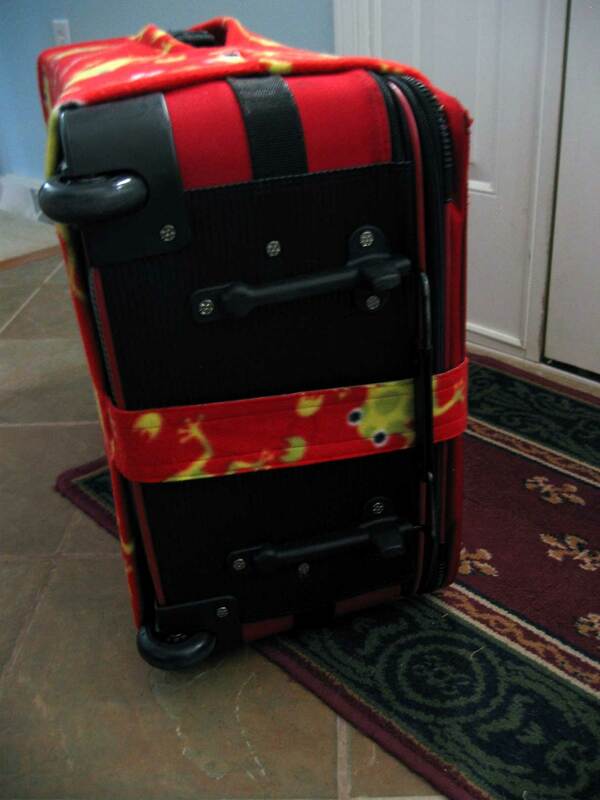 This entry was posted in sewing and tagged luggage cover, sewing, travel by Patti_is_knittinginflashes. Bookmark the permalink. 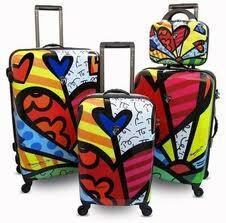 Loved your suitcase. So sorry you are sick. Hope you are feeling better. Hope you’er feeling better soon. You are so clever! You are so creative! I love it! 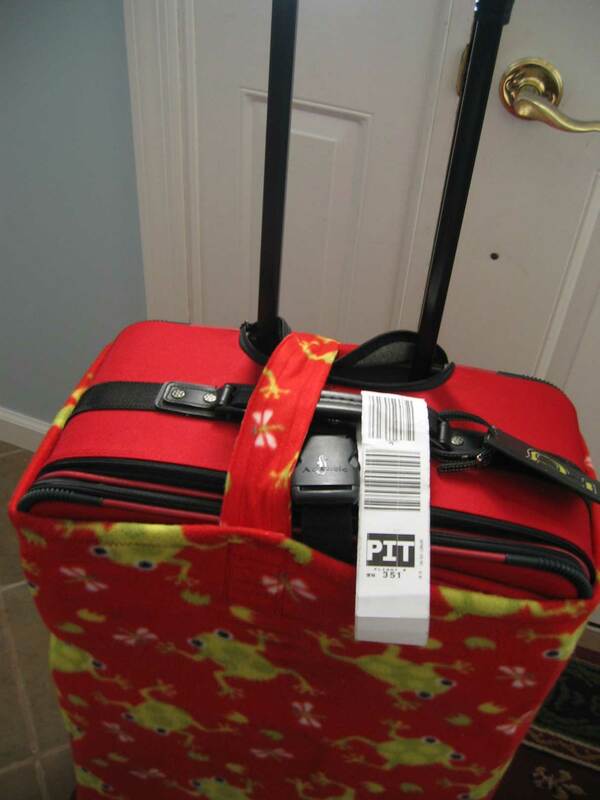 I had black luggage and I tied a piece of yarn around the handle. I like your solution much better. I’m sorry you have been so sick! I hope you feel better soon! Now this is a really good idea. You might think of marketing something like this. Perhaps something highly stretchable that would fit a lot of different-sized suitcases; something purely identifiable and protective. I really like this idea. And you are right. My dad’s business travel bag was leather. It was heavy. It had no rollers. But the more they banged it up, the better it looked. He’d even polish it. And he worked for American Airlines. I wonder what happened to it?